100% Natural (Pure Indian Agarwood Oudh/Oud) Real Dark Intense Pheromones/Aphrodisiac Attar Oil- 3ml Bottle! EXTREME INTENSE SMELL PERFUME/SCENT OIL WHICH LASTS QUITE ! Spicy, tropical woody, thick, deep and dark texture! 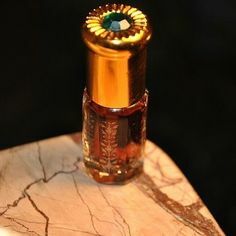 A very strong/intense attar originated from pure Indian Agarwood Oudh/Oud wood of real Indian trees! Great for any occasion/event. Not too harsh, nor too overwhelming or bitter, but it has just about the right strong woody sweet smell.